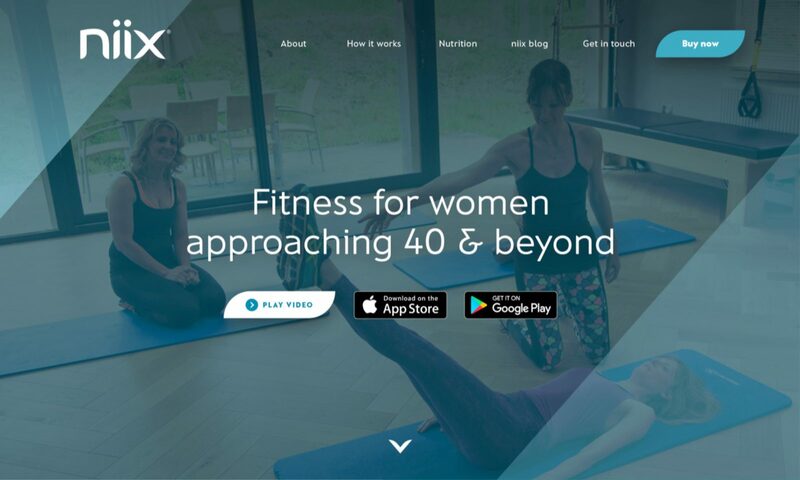 Develop the brand, website, app and a suite of supporting assets to launch a latest Pilates and cardio fitness app in the UK for women approaching 40 and beyond. 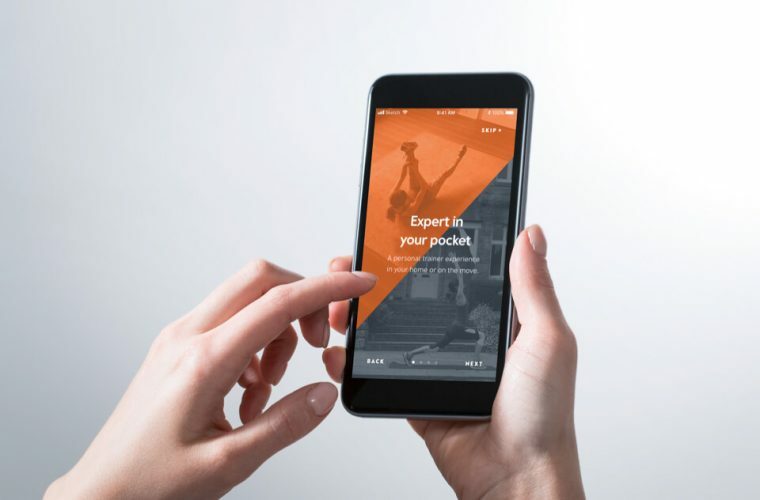 Designed and built niix fitness app, alongside a promotional website and brand campaigns. The first steps to fitness. Reckless was appointed, alongside video specialist Soup Creative by leading leisure and fitness brand niix late 2017. Together we worked in partnership to look at their complete marketing strategy in order to achieve the objectives they had as a brand. Working closely with the niix team we began crafting a visual identity built upon their brand values. We created a logo that feels modern, cutting edge, clean and accessible, and brought together a palette of colours for the brand to utilise. We explored many ideas and involved niix early on in the process to ensure we were heading in the right direction. 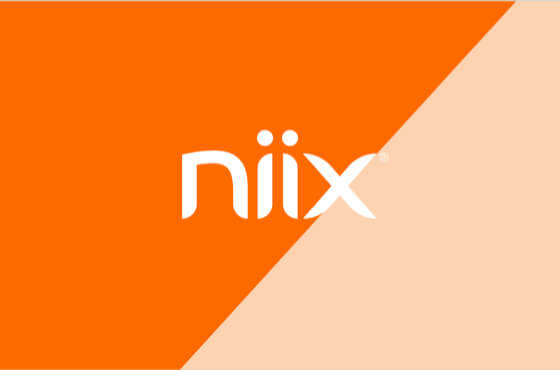 Together with niix we established a fresh, youthful colour palette that would empower their visual identity. The brand was brought to life with an angular slice that now forms the cornerstone of all visuals. 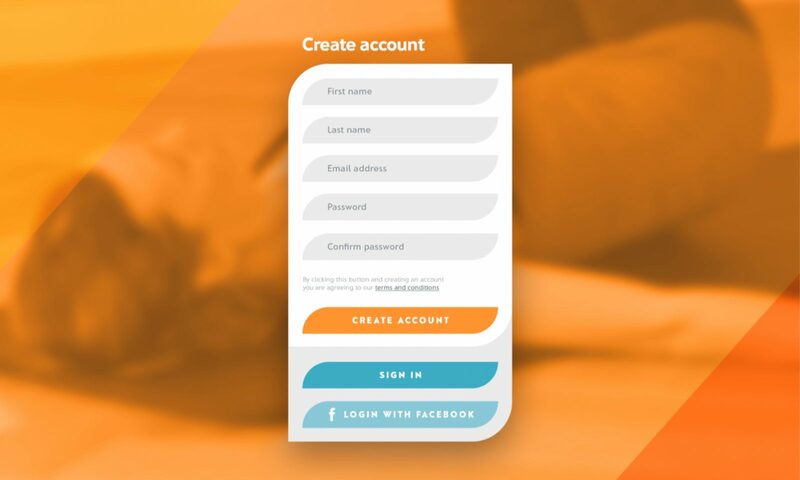 Functionality for the app included but was not limited to in-app purchases, ‘Share Your Progress’, ‘niix Community’ for ongoing support, ‘Member Profile Area’, ‘Rate Your Session’, ‘Exercise Terms’ and ‘Techniques’ and ‘Nutritional Meal Plans’. The app is built using the Ionic framework, an open-source SDK (software development kit) for hybrid mobile app development and the app and website integrates with Intercom to track user events and behaviours. 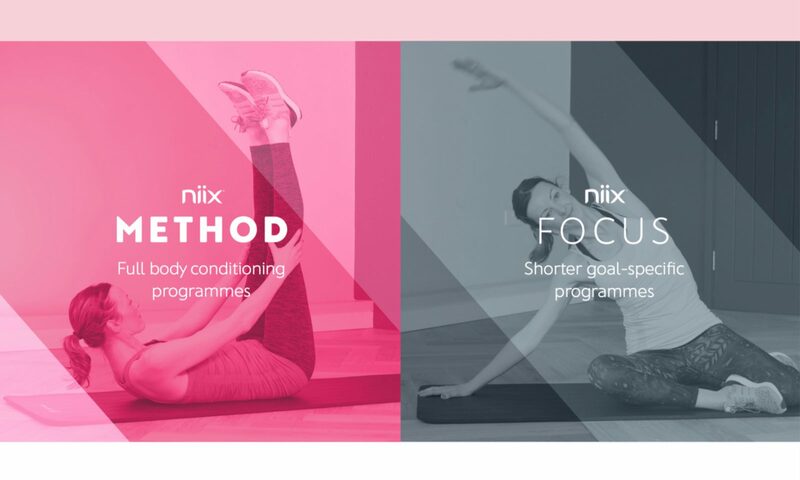 By integrating with Intercom and monitoring user behaviour we are able to dynamically shape our communications with users to keep them better engaged and subscribed for longer, Activating Growth for niix Fitness. 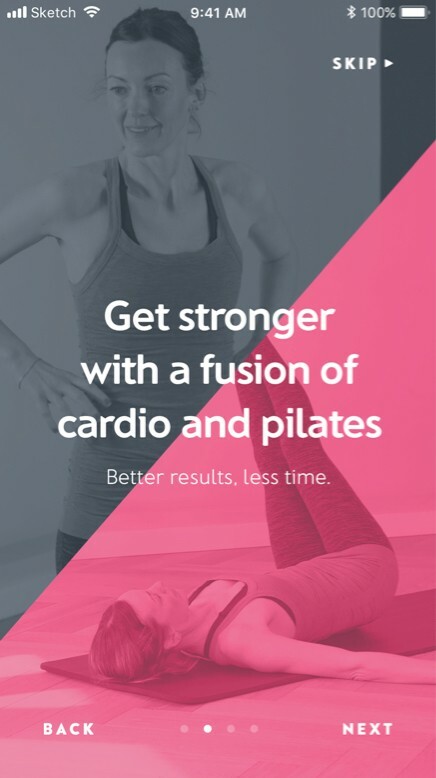 The launch phase saw us also partner with fitness fanatic Louise Redknapp as the brand’s ambassador and also Lily Soutter, a renowned Health Writer and Nutritionist. 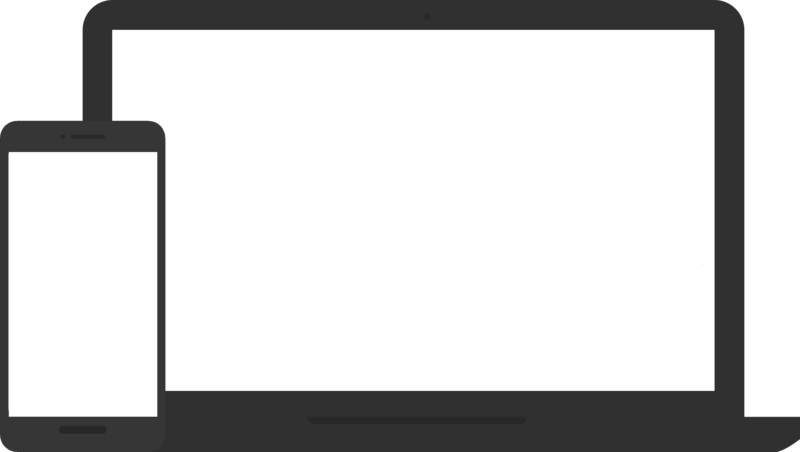 A Laravel (open-source PHP framework) backend powers the app and allows the client to access a dashboard where they can update and create new content for the app themselves. This allows the app to continually be updated without having to be resubmitted to the app stores. 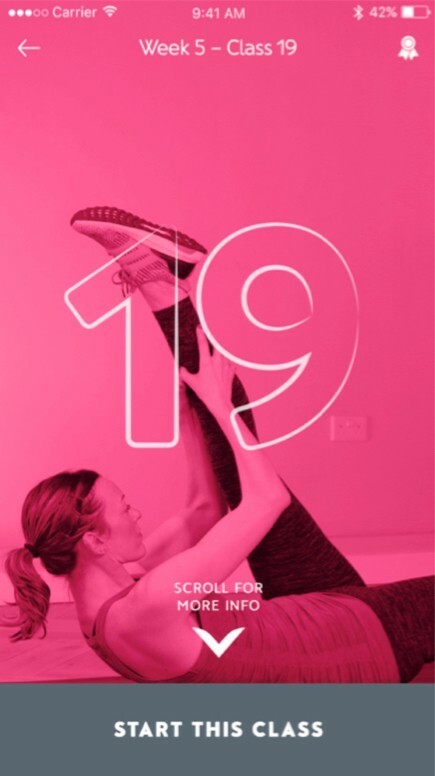 To help spread the word a number of 30-second promotional videos were created alongside inspiring video and image-based adverts to be used on social media showcasing women enjoying the app in various locations; how quick, easy and convenient the app is to use at home; and how it can fit in with a busy lifestyle including meal plans by Lily. Following on from the success of the app, we are continuing to support the original structure and also any future digital marketing opportunities that arise for the app. After working together for several years, our relationship with niix is in full health and is a brand we are proud to be working with.